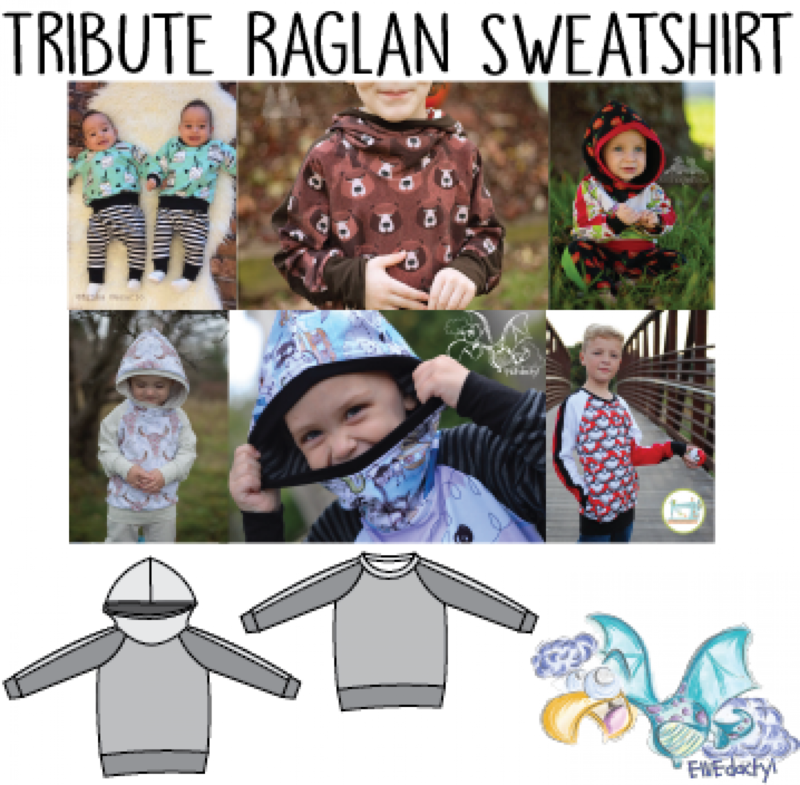 The Tribute Raglan Sweatshirt is a relaxed fit, raglan style sweatshirt with two hood options. 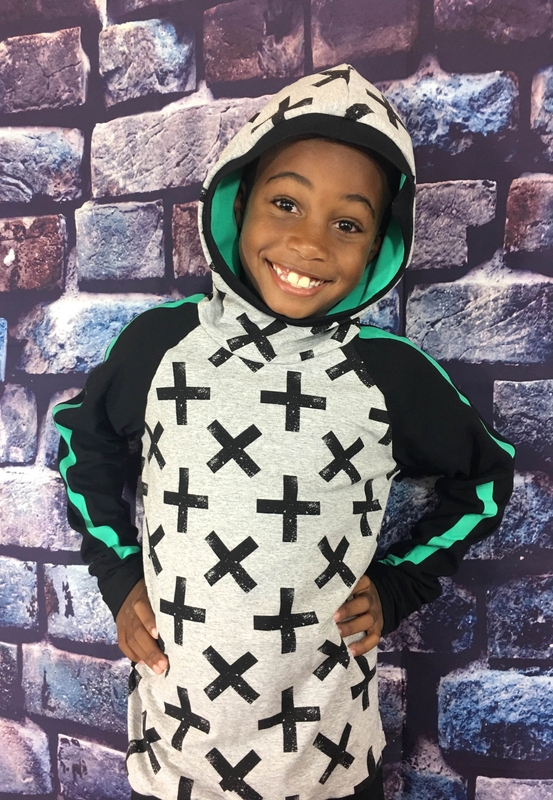 The standard scuba hood features a seamless front which allows you to showcase a special section of your favorite print. The banded hood style opening brings the hood close to the face for warmth but remains easy to put on and take off. 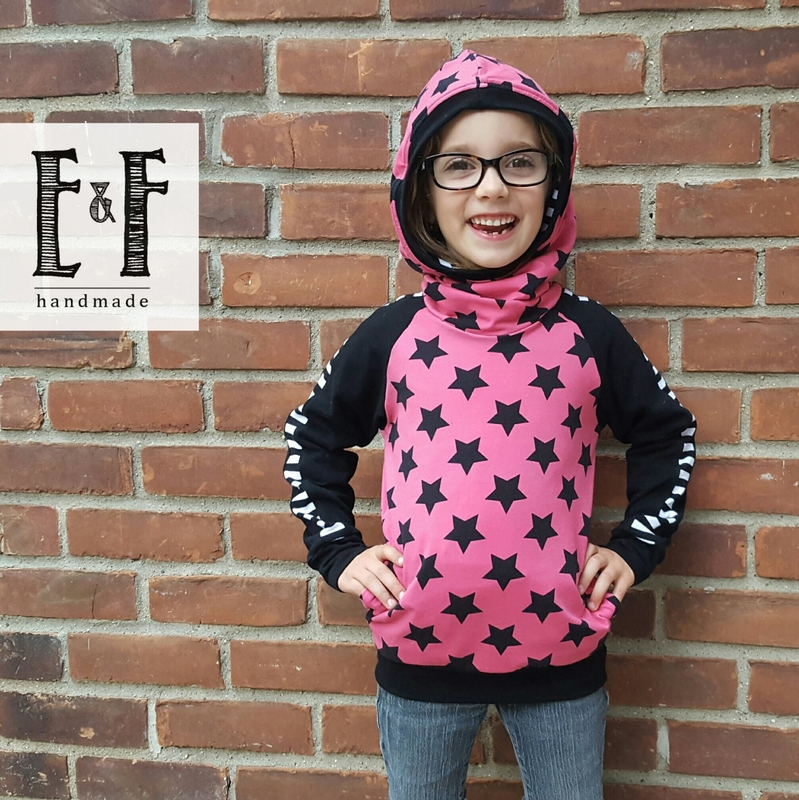 Additionally, you can add a cowl-like feature to the hood by choosing the slouchy hood option, or skip the hood all together for a classic crew neck sweatshirt. The ample ease through the body and sleeves makes this great for layering in the colder months, or keeping cool with the short sleeve option all summer. Cold hands? Not with the Tribute! This pattern offers secret side seam pockets which lets a fabric panel take center stage without losing a place to store treasures. The optional sporty racing stripe down the sleeve brings it all together to make it the complete package for kids sizes NB-12. * Based on a 54” wide knit fabric. Long sleeve, hooded option with pockets. Additional fabric may be required to match patterns or stripes. The pattern is designed for knit fabrics only. The full photo tutorial makes it easy to sew, even for beginners. Included in the pattern is a "Sew Quick" guide with very basic instructions for experienced seamstresses. The pattern is saved in layers which allows the user to print only the size they need. 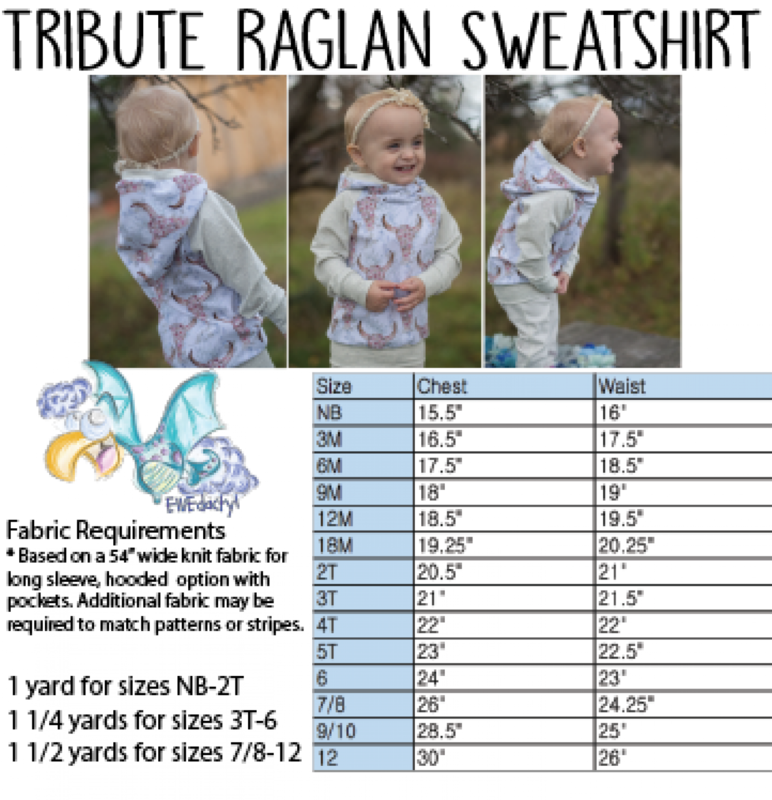 Each size has the waistband, neckband, hood binding and sleeve cuffs measurements right on the pattern pieces, which helps make it easy to store for using time and time again. Additionally, pattern pieces for these are provided on the pattern tiling.